To no one’s surprise, the year 2019 will be one filled with SUVs and the luxury brands are already introducing their new models to the buying public. At BMW, two new models are arriving this year, the X5 and the X7, and both are making their Canadian premiere at the Montreal Auto Show. The X5 is well-known to us. This five- or seven-passenger midsize SUV positions itself above the X3 and the X4 in BMW’s lineup. 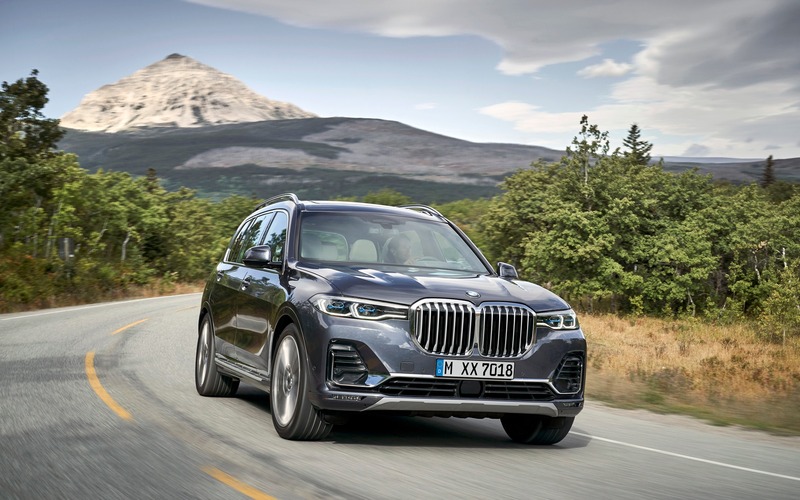 For 2019, the BMW X5 has been thoroughly redesigned and assembled on a new platform, and will boast two new powertrains. The xDrive40i is equipped with a turbocharged, 3.0-litre six-cylinder engine that develops 335 horsepower, while the xDrive50i xDrive gets a twin-turbo, 4.4-litre V8 that produces no less than 456 hp. Of course, xDrive all-wheel drive is fitted as standard. However, the X7 is an all-new model at BMW, and its first seven- or eight-passenger SUV, which will go head-to-head with vehicles such as the Volvo XC90 and the Audi Q7. Like its smaller brother X5, it will be offered in two trim levels, xDrive40i and xDrive50i, which boast the same six- and eight-cylinder engines. With the X7, BMW promises to satisfy consumers’ expectations in regards to interior space and sophistication. The 2019 BMW X7 will arrive in Canadian dealerships this summer.